Support | Columbia Cemetery | Columbia, Mo. Friends of the Historic Columbia Cemetery is a private, non-profit organization created in 2016 to support the cemetery by paying for landscaping, grave straightening and other beautification projects. To learn more, contact the cemetery by e-mail or phone at (573) 449-6320. The Columbia Cemetery Association Endowment Fund was created in 2005 to accept bequests and large donations for restricted uses. To learn more, contact the cemetery by e-mail or phone at (573) 449-6320. 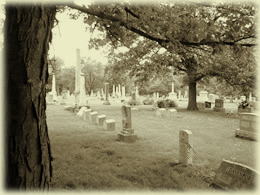 Lot owners who wish to plant trees on their lots can take advantage of the cemetery’s wholesale pricing on trees and labor. The cemetery will then maintain the trees free of charge. For information, contact the cemetery by e-mail or phone at (573) 449-6320.